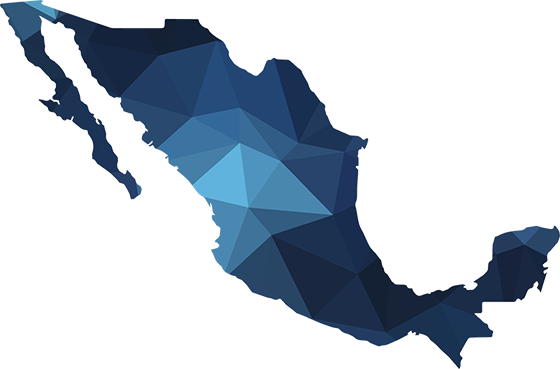 A Mexican business group established 25 years ago, Grupo CLISA has extensive experience in the energy and services sectors, including the import and marketing of natural gas, thermal coal and petroleum coke. The group has five divisions, which includes Energy, Logistics, Commerce and Services, Real Estate and Infrastructure. The group has a functional team of more than 2,000 people. For more information, please visit our website: www.grupoclisa.com.mx. Rainbow Energy Marketing Corporation (REMC) is based in Bismarck, North Dakota, is part of a family of companies that comprise United Energy Corporation (UEC), a leader in the energy sector in the United States. Rainbow Energy has concentrated its efforts on satisfying the supply and demand of electricity services, being a pioneer on the deregulated energy sector since 1994. It is currently operating projects in the United States, Canada and Mexico. For more information, please visit our website: www.rainbowenergy.com. Av. Lázaro Cárdenas, No. 2400 pte. Rainbow Energy and Grupo Clisa have joined forces to develop RC Energy, a new company that aims to serve electric customers in the new deregulated markets by combining the resources and experience of the two companies. © 2019 RC Energy | All Rights Reserved.